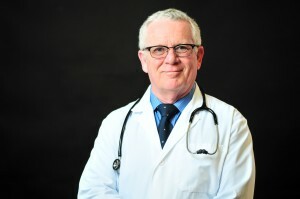 Stephen D. Behlmer, M.D. is a physician who is Board Certified in general dermatology with extra specialty training and expertise in cancer surgery, cosmetic surgery and reconstructive surgery. Associated Dermatology and Advanced Laser Clinic provides Helena, and the surrounding Montana communities an extremely experienced and highly trained skin cancer surgeon. Mohs surgery is a specialized, highly effective technique for removing skin cancers. It was developed in the 1930’s by Dr. Frederick Mohs at the University of Wisconsin and is now practiced throughout the world. Mohs surgery differs from the other skin cancer treatments in that it permits the immediate and complete microscopic examination of the removed cancer tissue. Mohs surgery has the highest reported cure rate of all treatments for skin cancer. Mohs surgery is ideal for skin cancers that grow back after previous treatment, that are at high risk of recurring, or that are located in areas where preservation of the maximum amount of normal skin is important, such as on the face, ears, nose and scalp. Persons at higher risk of skin cancer recurrence include those who have a history of previous skin cancers and those who have had organ transplantation. Skin cancers may be larger under the microscope than they appear to the naked eye. These cancers may have “roots” in the skin or along blood vessels, nerves, or cartilage. Skin cancers that recur after previous treatments also may send out extensions deep under the scar tissue that has formed. Mohs surgery is specifically designed to remove these cancers by tracking and removing the cancerous “roots” or edges. First, the skin is made completely numb using a local anesthetic. The visible cancer is then removed with a thin layer of additional tissue. This takes only a few minutes and the specimen is taken to the lab for processing. A detailed diagram (a Mohs map) of the removed specimen is drawn. The specimen is color coded to distinguish top from bottom and left from right. A technician freezes the tissue and removes very thin slices from the entire edge and undersurface. These slices are placed on slides and stained for examination under the microscope. This is the most time consuming part of the procedure, often requiring an hour or more to complete. Finally, Dr. Behlmer carefully examines the slides under the microscope, which allows examination of the entire surgical margin of the removed tissue. That is, the entire undersurface and the complete edge of the specimen is examined. Any microscopic roots of the cancer can thus be precisely identified and pinpointed on the Mohs map. If more cancer is seen at the edges on the microscopic slides, Dr. Behlmer uses the Mohs map as a guide to remove additional tissue only where cancer is present. This allows the Mohs surgery technique to leave the smallest possible surgical defect because no guess work is involved in deciding where to remove additional tissue. Only tissue around the “roots” and extensions of cancer is removed. A “stage” refers to each time additional tissue is taken and examined under the microscope. Most cases can be completed in three or fewer stages, requiring less than four hours. However, no one can predict how extensive a cancer will be because the size of a skin cancer’s “roots” cannot be estimated in advance. Please consider this into consideration when scheduling your appointment. We ask that you have no other appointments or commitments during the afternoon of your surgery. WHAT HAPPENS AFTER THE MOHS SURGERY IS COMPLETE? When the cancer is removed, Dr. Behlmer will discuss with you your options. These may include 1) allowing the wound to heal naturally, without additional surgery, 2) wound repair by Dr. Behlmer, or 3) referral to another surgeon for wound closure. A surgical site can be closed several ways, including a skin graft. Yes. Any form of surgery leaves a scar. Mohs surgery, however, will leave one of the smallest possible surgical defects, and therefore a smaller scar. Pain and discomfort may occur. If you experience discomfort, Tylenol is recommended. Please avoid taking ibuprofen as it can cause bleeding complications after surgery. However, if you need additional pain medication, please contact the doctor. You may have some bruising and swelling around the wound, especially if surgery is being done close to the eyes. Most insurance policies cover the costs of Mohs surgery and the surgical reconstruction of the wound. Please check with your insurance carrier for exact information relating to your surgery. Dr. Behlmer accepts Medicare assignment for cancer surgery. Depending on the location and size of the spot, Dr. Behlmer may request you to come in for a pre-operative consultation. You are encouraged to request such a consultation to go over any questions you may have regarding your surgery. There is no charge for a pre-operative consultation.